This three-bedroomed detached terrace comes with a luxurious open plan living space. The master bedroom is finished with an En-suite bathroom. 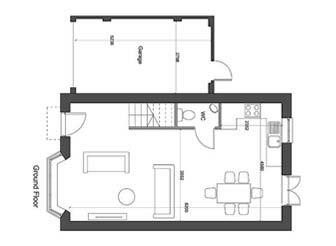 This property has the potential to have dividing walls installed to amend the open plan layout. A garage is also featured with this home.